There are six powers all women have but too seldom use. There are unexplored worlds women neglect. But as limitless as a woman’s potential might be, as valuable and important to the world as well as those closest to her, the path to happiness, contribution, and fulfillment begins with self. 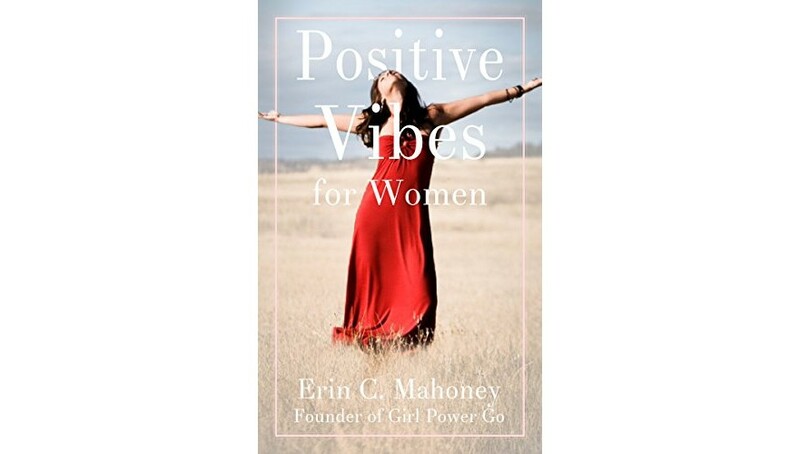 In Positive Vibes, best-selling author of the Girl Power Guidebook and the Girl Power Journal, and creator of Girl Power Go, Erin Mahoney puts into book form for the first time the message she has been delivering to women in all of her popular workshops and trainings. As vibrant a force for women as the Girl Power series is for girls, Positive Vibes is sure to expand the playing field for women everywhere, and to take its rightful place in the continuing appreciation and expansion of women’s rights, powers, and love of self, all while deepening the appreciation of a woman's natural beauty. There are powers and actual exercises women can practice to love themselves more, move and grow through their pain, set themselves and others emotionally free, and realize their true and full potentials, and they’re all here in Positive Vibes for Women. Stop missing your life, and start showing up with freedom in your heart, and the future you are meant to live within your sights.